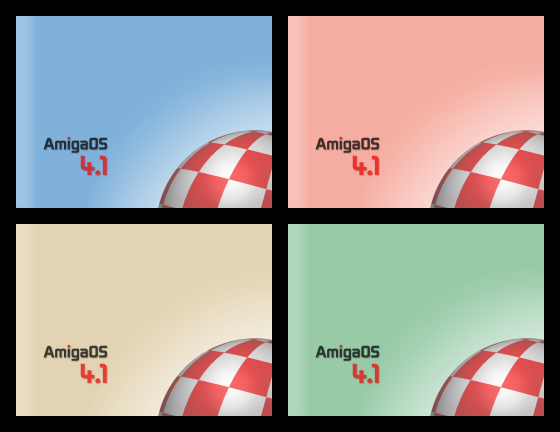 A simple 1024x768 backdrop picture for AmigaOS 4.1, in four color variants. Submitted by walkero on Sat, 07/24/2010 - 22:56. Yes, more resolutions would be great. If you could also make 16:9 resolution, this would be just fabulous. Submitted by cha05e90 on Sat, 07/24/2010 - 13:23. Nice! Any chance to make some bigger backdrops, i.e. 1280x1024?